Well this is interesting news! It looks like the producer of a bunch of Quentin Tarantino movies and the Academy Award nominated movie “Erin Brockovich” has become the new co-president of Activision Blizzard Studios. Stacey Sher along with former Disney executive and co-president Nick van Dyk will be developing shows for television and films based on popular Activision Blizzard games such as Call of Duty, Starcraft, and our favorite franchise Skylanders! This news makes me hopeful that the Skylanders series will be good. The Warcraft movie already looks sweet! I can’t wait for COD and Starcraft trailers! What are your thoughts on Stacey and Nick operating the new Activision Blizzard Studios? 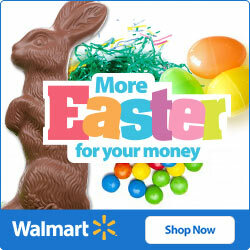 Do you think this is a good or bad thing for the company? I think this is a great start in the right direction. Both Stacey and Nick are awesome at what they do so in my opinion nothing but good things can come from this. Click the link below to read the full article from Recode. Until next time I’ll catch you on the SKYSIDE! via Producer of ‘Django Unchained,’ ‘Erin Brockovich’ Named Co-President of Activision Film Studio | Re/code. This is a pretty good deal I would be getting my pre-order on if I were you. Thank to Matteomax from darkspyro for the tip. Until next catch you on the SKYSIDE! Look It’s Skylanders Concept Art! Hope you all have had a great day thus far it sure has been an exciting one with all this juicy info we have been getting today. I saw this concept art and thought you guys would love to see it if you haven’t already. There are some amazingly talented artists and writers that help bring all the characters in the Skylanders Universe we know and love to life. I just want to say from all of us here at Skylander Addicts to everyone at Activision & Toys For Bob thank you for creating such and awesome and unique gaming experience time after time. I know I for one can’t wait to see what’s next after Trap Team with the introduction of Trap Keys I am interested in seeing how they will be used in future games. Well, that’s it for now enjoy the artwork in the gallery and I’ll catch you all on the SKYSIDE! Legendary Deja Vu Looks BOOMTASTIC! This will be a quick post yesterday we told you guys about the Skylanders we can expect to see in wave 1. If you paid attention you saw that the 3 Legendary character was revealed Legendary Deja Vu. There was no image until now check it out! Boy does she look awesome! As the days go by I get more excited about the release of this game as I assume most of you are too. Now we know of 3 Legendaries who will be the 4th? I’m hoping it’s someone like Short Cut or Gusto or even Enigma would be cool! What are your thoughts on the next Legendary figure? Let us know here or on any of our other social media sites. That’s it for now catch you on the SKYSIDE! Special Announcement of Doom from Kaos! FOR ME, KAOS, IN SKYLANDERS TRAP TEAM™! Can You Believe Those Skylanders Losers Actually Caved In to My Demands? SANTA MONICA, Calif. – SEPTEMBER 15, 2014 – Attention foolish human fools! Activision Publishing, Inc., a wholly owned subsidiary of Activision Blizzard, Inc. (NASDAQ: ATVI), is officially announcing an all new diabolical gameplay mode in honor of me, Emperor Kaos, the most infamously evil villain in all of Skylands! In my glorious “Kaos Doom Challenge,” sniveling Portal Masters like you can feebly battle through increasingly difficult waves of my personal minions using your ridiculous army of Skylanders. And since you obviously won’t stand a chance, I, Kaos, will graciously allow you to build defensive towers and battle my fearsome allies using any of your Skylanders from your entire collection. However, when you bumbling Portal Masters utterly fail to progress past my hoards of evil underlings, the “Mystery Box of Doom” will be opened – which will then incomprehensibly spit out gigantic villains that will completely destroy you! And because I am both benevolent and merciful, I will even let you fools use any of your pitiful Trapped Villains to fight them. And for those of you who absolutely cannot wait for your horribly inevitable destruction, the Skylanders Trap Team Starter Pack will be available on a bunch of seemingly random days in October (October 5th in North America, October 10th in Europe and October 2ndin Australia to be precise) on the following exceptionally awesome platforms: Nintendo’s Wii™ system and Nintendo’s Wii U™ system, a variety of iPad®, Kindle Fire and Android tablets; Xbox One and Xbox 360 games and entertainment systems from Microsoft; PlayStation®4 system; PlayStation®3 system. A different, unique adventure also will be available on the Nintendo 3DS™ hand-held system. Now if you’ll excuse me, I have a world to conquer. I look forward to crushing your spirits. With loathing and disgust. OMG! I am guessing this is the Kaos Mode we all have been hearing about. Check out the video of some gameplay footage showing off the Kaos Doom Challenge. Closer Look At New Skylanders Minis! I didn’t get a chance to post these images when I originally told you all about the release of the new Skylanders Minis. As we now know there will be 16 mini Skylanders that will be added to the Skylanders universe. Spry (Spyro), Hijinx (Hex), Barkley (Tree Rex), Bop (Bash), Breeze (WhirlWind), Drobit (Drobot), Weeruptor (Eruputor), Eye-Small (Eye-Brawl), Whisper Elf (Stealth Elf), Mini-Jini (Ninjini), Gill Runt (Gill Grunt), Trigger Snappy (Trigger Happy) Terrabite (Terrafin), Pet-Vac (Jet-Vac), Small Fry (Fryno), and Thumpling (Thumpback). We also know that they will come in a double pack or 2 pack like the swappers did in this series. Check out the gallery below to get a closer look at all 16 minis. Until next time catch you on the SKYSIDE! 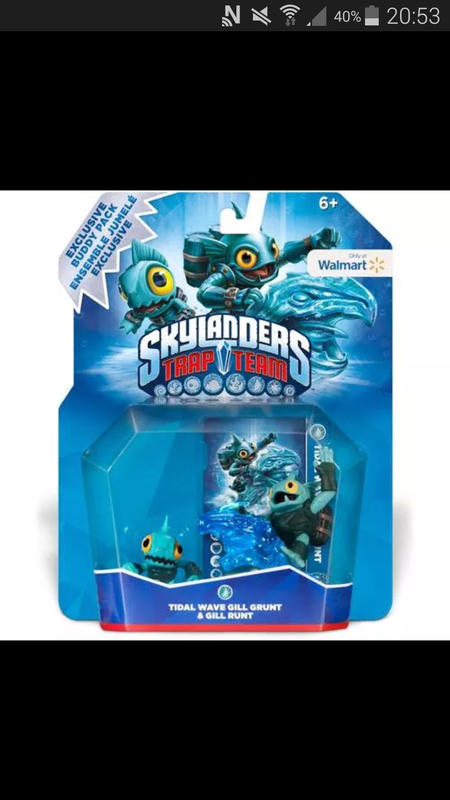 Get a look at this image Walmart have released the buddy buy trap team packaging is class. Here’s hoping the uk gets them through asda!!! As soon as i know ill let u all know. It has been an exciting few weeks with all of the events and updates about Skylanders Trap Team. Yesterday we found out that there would be a Skylanders Trap Team tablet version being released. Well late last night pictures started floating around Instagram of the Trap Team poster featuring a few new sidekicks. This morning Activision announced that the sidekicks were getting an upgrade and where now called Skylanders Minis. During Gamescom 2014 not only will you be able to be one of the first to play with the new Skylanders Minis, but you will also get to play two of Activisions highly anticapted releases Call Of Duty: Advanced Warfare and Destiny. Check out the press release I got this morning. Cologne, Germany – August 13, 2014 – Activision Publishing, Inc., a wholly owned subsidiary of Activision Blizzard, Inc. (NASDAQ: ATVI), will showcase a blockbuster line-up of some of the world’s most anticipated next-generation gaming releases at Gamescom 2014. Kicking off on Wednesday 13th August at the Koelnmesse GmbH Exhibition Centre in Cologne, Germany, Activision will be offering consumers and industry influencers the opportunity to get hands-on with some of the biggest titles of the year. Call of Duty®: Advanced Warfare will be playable in the Microsoft booth located in Hall 5.2, Destiny will be playable in the SONY Computer Entertainment Deutschland booth, located in Hall 7.1 and Skylanders Trap Team™ will debut a new line of small-but-mighty characters in the Family Area, Hall 10.2. Published by Activision and developed by Sledgehammer Games, Call of Duty® multiplayer enters a new era for the popular award-winning franchise. Gamescom 2014 will see the global reveal of Call of Duty: Advanced Warfare multiplayer with fans getting the very first hands on anywhere in the world. Call of Duty: Advanced Warfare is primed to deliver a thrilling blockbuster experience, packed with cutting-edge technology such as the exoskeleton, which changes the way gamers will play the game, and a brand-new weapon class, load-out system, endless customization and more, creating an in-depth, robust and advanced Call of Duty multiplayer experience. Call of Duty: Advanced Warfare is being developed by Sledgehammer Games specifically for Xbox One, the all-in-one games and entertainment system from Microsoft, PlayStation®4 computer entertainment system and PC. Versions for the Xbox 360 games and entertainment system from Microsoft and PlayStation®3 computer entertainment system are also in development. The game is expected to release on November 4, 2014. Call of Duty: Advanced Warfare is rated M for Mature. From Bungie, the creators of Halo®, and Activision, comes Destiny, the next evolution in interactive entertainment that brings first-person action gamers together in a shared, persistent online world filled with epic adventures. Gamescom 2014 will showcase Destiny’s competitive multiplayer, The Crucible, with announcements of the modes, maps and playlists that will be available at launch. Multiplayer playlists will mix up the gameplay with special rotating events, such as the Iron Banner, which allows players to enter battle against one another with no combat level restrictions. Destiny will also feature an exclusive map called Exodus Blue for PlayStation 4 and PlayStation 3 owners, which will remain exclusive until at least Fall of 2015. Destiny will be available on September 9 for the PlayStation 4 system, PlayStation 3 system, Xbox One and Xbox 360. For more information, visit www.DestinyTheGame.com. For exclusive updates, follow the officialDestiny social channels at www.facebook.com/DestinyTheGame and @DestinyTheGame on Twitter, and interact directly with the developers atwww.Bungie.net. 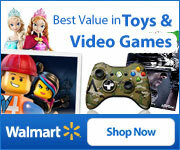 Developed by Toys for Bob, creators of the Toys-to-Life™ phenomenon,Skylanders Trap Team reverses the magic of its signature play pattern — letting kids take villains out of the digital world and transport them into the physical world, where they are captured in magical Traps — bringing both Toys-to-Life and life to toys. Fans can then play as both heroes and villains who join the forces of good in an all-new adventure. Fans attending Gamescom will get a special Skylanders® treat — the first hands-on opportunity to play Skylanders Trap Team with a new line of cute, pocket-sizedSkylanders characters, called Skylanders Minis. Sixteen of the smallest but surprisingly powerful Skylanders are now joining the fight against Skylands’ most nefarious villains. 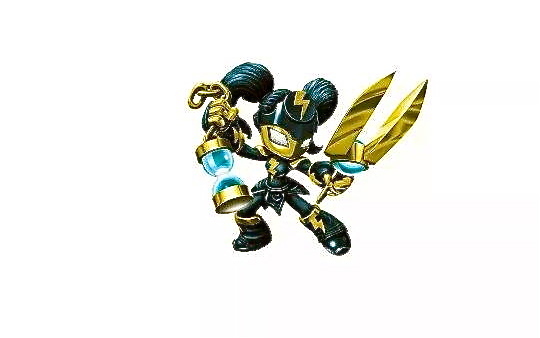 Diminutive in stature but mighty in battle, Skylanders Miniswill deliver a full Skylanders wallop as completely playable characters with upgrades and abilities, just like any other Skylanders, including the ability to trap villains. At Gamescom, visitors in the Gamescom Family Area ((Hall 10.2) — who are “mini” enough to enter the smallest booth Activision has ever built — will be able to play with the new Minis. Only those that meet the Skylanders Mini booth’s required height restrictions will get the chance to be the first in the world to play with five of the new Minis: Spry, Mini Jini, Drobit, Trigger Snappy and Hijinx. Visitors to the Family area will also have the chance to visit the Skylanders photo booth, where fans can be photographed as if they’ve been ‘trapped’ in Traptanium, just like the infamous villains in the game. Ahead of Gamescom, Activision also announced that it is bringing the completeSkylanders Trap Team videogame to tablets at launch, marking the first time a fullSkylanders game will be available on iOS, Android and Kindle Fire tablet devices day-and-date with the console version. 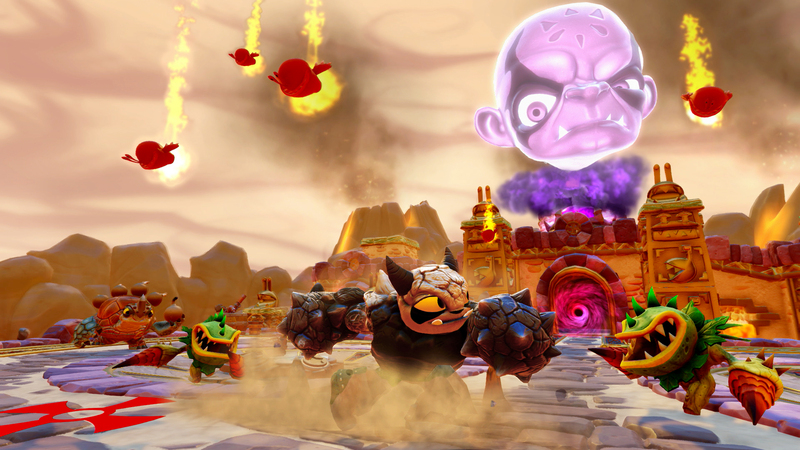 The tablet version of the game delivers the same experience, with console-quality graphics[i] and high performance game controls as its console counterpart, delivering yet another significant technological leap to the Skylanders franchise. It is playable with touch controls or a Bluetooth® enabled controller that comes with the tablet Starter Pack. 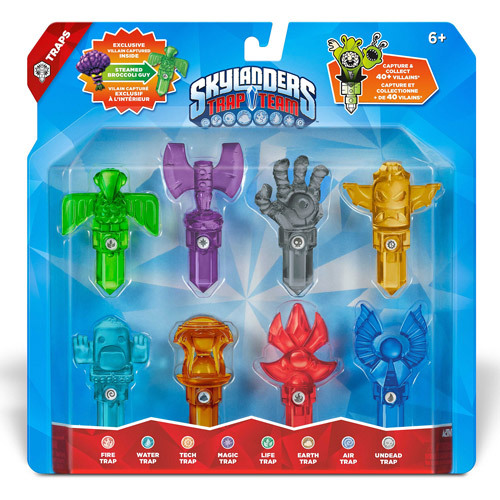 Skylanders Trap Team will be available on October 10 in Europe, October 5 in North America and October 2 in Australia/New Zealand on the following platforms: a variety of iOS, Android and Kindle Fire tablets; Xbox One and Xbox 360 games and entertainment systems from Microsoft; PlayStation 4 system; PlayStation 3 system; Nintendo’s Wii™ system and Nintendo’s Wii U™ system. A different, unique adventure also will be available on the Nintendo 3DS™ hand-held system. Looks like it is going to be an awesome event I would love to be able to play with the little guys I’m excited to see that they no longer just follow you around and that they get to be upgraded just like regular Skylanders. I hope we will get more Skylanders minis in the future as more games are released. 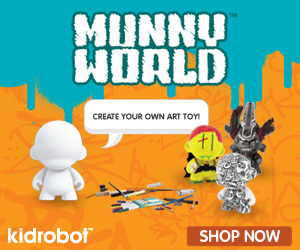 Are you excited about the new minis? Let me know by leaving a comment. 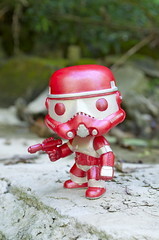 There are some awesome images in the gallery of new characters and toys check them out at your leisure. Until next time catch you on the SKYSIDE!